Each weekly class, held on Tuesdays, costs $10 per session. Research shows that the type of movement in Tai Chi improves balance, bone density, arthritis symptoms, immune function, mental acuity, and cardiovascular fitness. Additionally, Tai Chi is a very beneficial form of exercise as a means of preventing falls and injuries. 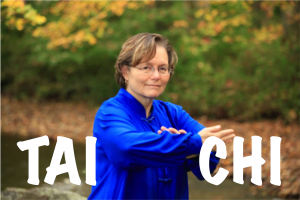 The instructor, Judith Rew, is an affiliated instructor with the Tai Chi Academy of North Jersey and began her training in Traditional Yang Family Tai Chi with Holly Sweeney-Hillman more than eleven years ago. She has achieved the level of Gold Eagle (Level 3) in the Yang Family ranking system. Previously, Judith trained in Goju Ryu and Shotokan karate for 15 years. In August 2012, she traveled to China and competed in the Yang Traditional Tai Chi Fourth International Invitational Tournament of Shanxi Province, China, and earned two bronze medals. To register, call 908.598.5548 or email: education@sageeldercare.org.